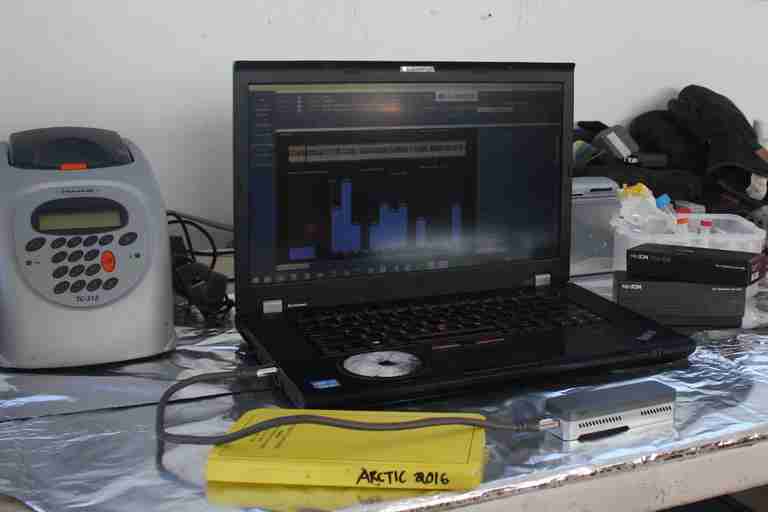 During tests in the Canadian Arctic, a portable DNA sequencer searched for microbes in conditions like those thought to exist on Enceladus, Europa, and Mars. A tiny life-seeking instrument could be packed on a future mission to Mars or the icy moons of Enceladus or Europa. Its aim: to find microbes through a detective search of DNA and RNA and help us understand how life evolves on other worlds. The researchers recently tried out their techniques at a site on Axel Heiberg Island, a large Arctic island about 560 miles from the North Pole. Like Mars, Axel Heiberg is under a deep freeze most of the time. But it also hosts unique formations called cold perennial springs, which have roots in permafrost as deep as 1,970 feet. At sites measured by the researchers, the springs materialized in salty areas where microbes thrive. The new study showed that a portable DNA sequencing device called MiniON, manufactured by the United Kingdom's Oxford Nanopore Technologies, works well in the field. It detected microbes and also sequenced DNA from active microbes. While more tests need to be done, this first step shows that searching for life on other worlds is definitely possible. Now we just need a mission on which to put this instrument. Cold, liquid, and salty sounds a lot like how conditions could be on Mars — particularly on features called recurring slope lineae. These are dark streaks that appear on the slopes of craters, particularly when the surrounding area is warm. 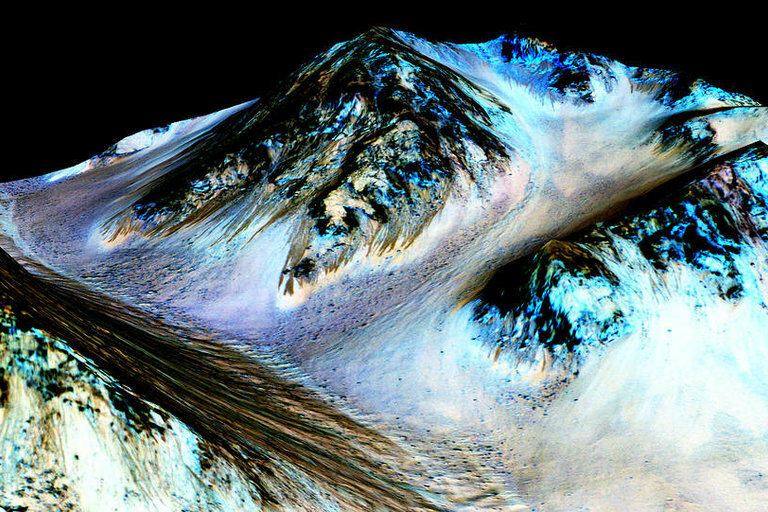 Back in 2015, NASA announced that hydrated salts are present within RSLs, which is strong evidence of liquid, briny water flowing on the surface. (And water, of course, could mean life.) But later research has cast some doubt on that conclusion, with some researchers suggesting RSLs are piles of dirt tumbling down the slope, while others say atmospheric water is the source of the salts. "It's something we just don't know about, and can't know until we can drive up to an RSL and sample it," said Lyle Whyte, a McGill University professor who participated in the new study and who studies microbes in polar environments. Whyte points out there are potentially life-friendly sites all over the solar system. The Hubble Space Telescope spotted multiple water eruptions on Jupiter’s the icy moon Europa. The Cassini mission — which ended as planned last year — extensively mapped more than 100 geysers spouting from icy Enceladus, one of Saturn’s moons. So Whyte's team, which was led by Jacqueline Goordial, a postdoctoral fellow at the Bigelow Laboratory for Ocean Sciences in Maine, wants an instrument small enough to fly to any destination — Europa, Enceladus, or Mars. "The smaller, the better," advises Whyte, who is also on the landing team selection committee for the forthcoming ExoMars 2020 rover. "Because you might only have 600 pounds to play with, and 150 of that is rover hardware." An article based on the research was published in the journal Frontiers of Microbiology. The research was funded by the Canadian Space Agency and included participation from NASA’s Ames Research Center in California. Whyte said near-term experiments will see the researchers working to expand the DNA sequencer's library, and Oxford Nanopore Technologies researchers will make technical changes to the sequencer itself — both to improve the sequencer's ability to hunt microbes. While the DNA analyzer may not fly for years, Ames is working on another life experiment that may break free of a NASA spacecraft and sail past the moon as early as 2019, on a heliocentric (sun-centered) orbit. Called BioSentinel, the experiment will study the impact of interplanetary space radiation on ordinary yeast. BioSentinel will launch on NASA's first Space Launch System mission, called Exploration Mission-1, that will launch in 2019 for a moon-orbiting mission, before returning to Earth.